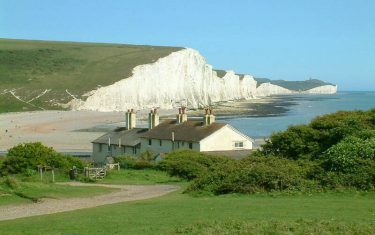 Walking the South Downs Way is an ideal choice for a first time walking holiday in England. 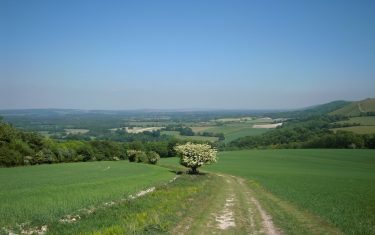 A blend of relatively easy walking, beautiful landscapes and delightful scenery along the Downs of Sussex and Hampshire. 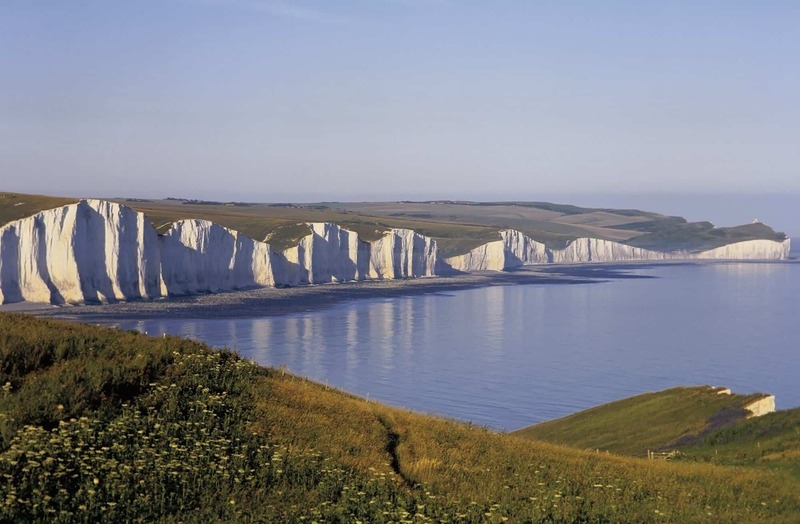 Walk the South Downs way for a walk that begins in the historic cathedral city of Winchester and finishes on the dazzling cliffs of Beachy Head above the English Channel and seaside resort of Eastbourne. Walks in the South Downs feature some of the most distinctive clifftop scenery to be found on easy walking holidays in England, and your walk comes to a close in what some consider to be the most striking section of a spectacular coastal route over the Seven Sisters and Beachy Head - only accessible by foot. 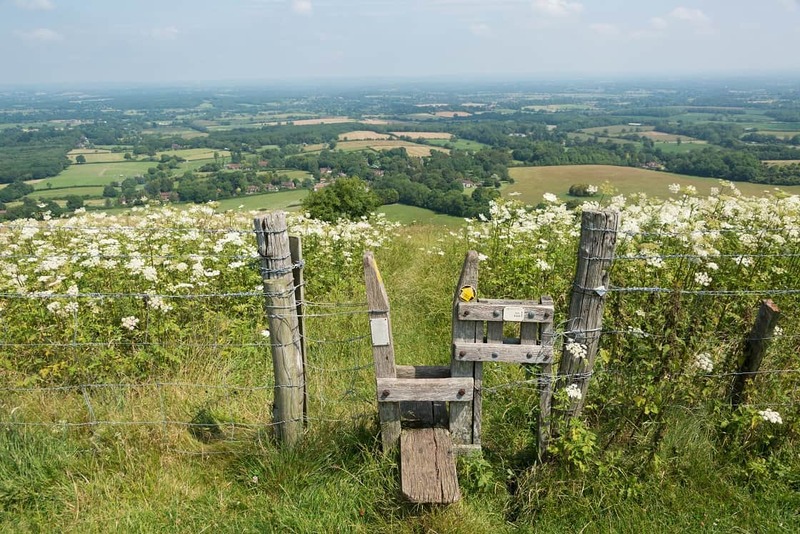 The South Downs Way features taps for drinking water en-route, you can download the leaflet for water refill locations here. Celtic Trails has 20 years’ experience providing tailored, quality itineraries for walkers who appreciate good service, comfort and organisation. 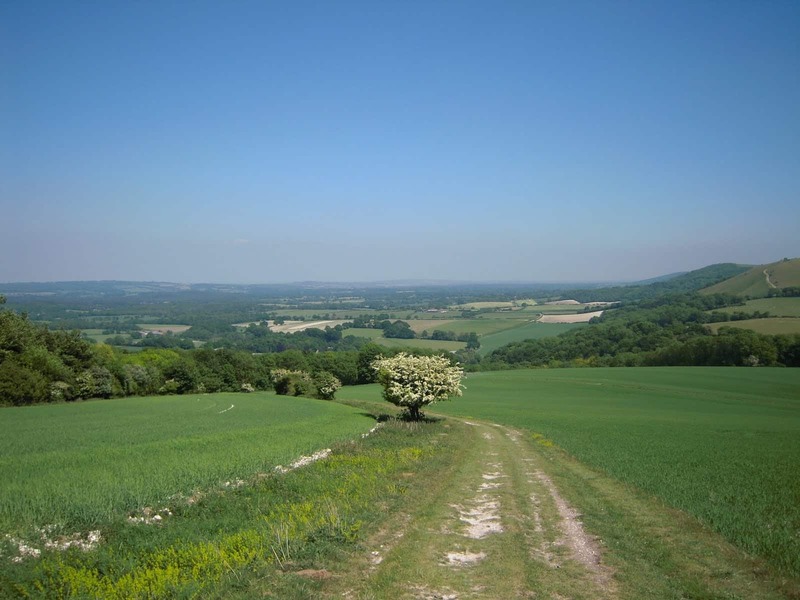 Call us today on 01291 689774 for more information on walking the South Downs Way. Along open top fields and chalky cliffs, The South Downs Way cuts a path through Britain's newest National Park from the cathedral city of Winchester to the sea at Eastbourne. 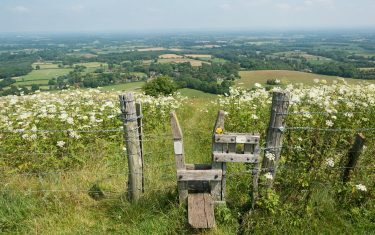 Being one of Britain's newest National Trails, the route is extremely well-marked (with the possible exception of Winchester) unambiguous and easy to follow. The route itself is quite manageable, but not entirely flat. 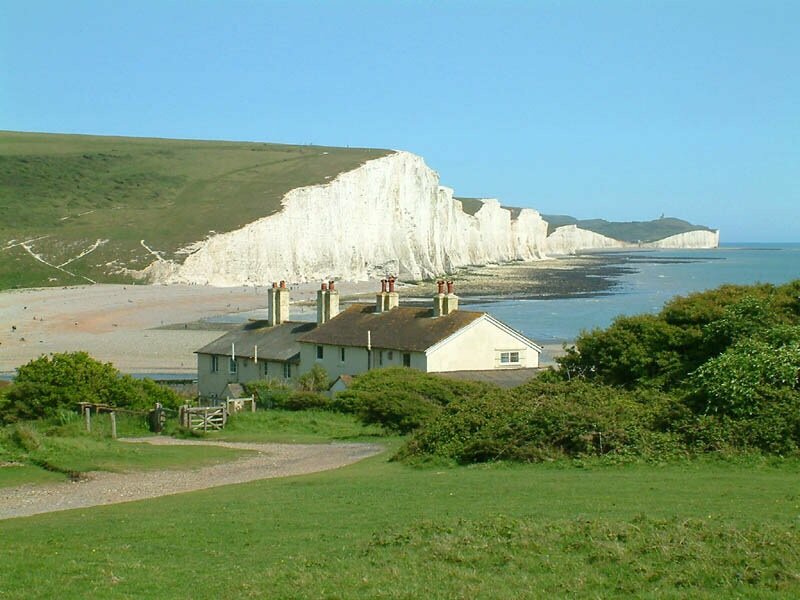 Valleys carved out from the passing rivers of Adur, Arun, Cuckmere and Ouse create a series of steep inclines, notwithstanding one of the routes most distinctive sections to Eastbourne over the Seven Sisters hills. 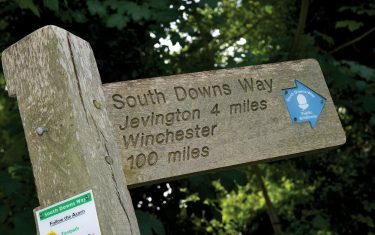 Although The South Downs Way mainly consists of forest tracks and country lanes, as the route progresses walkers can expect wide open field tops, and climbs up along ridges (giving expansive views over the landscape) before descending into the valleys and wooded sections of the National Park. 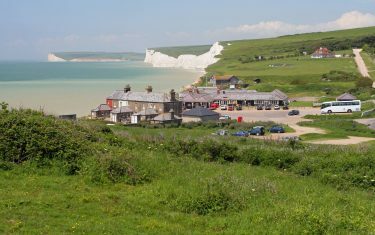 Itinerary Information: 9 nights accommodation with 8 walking days. 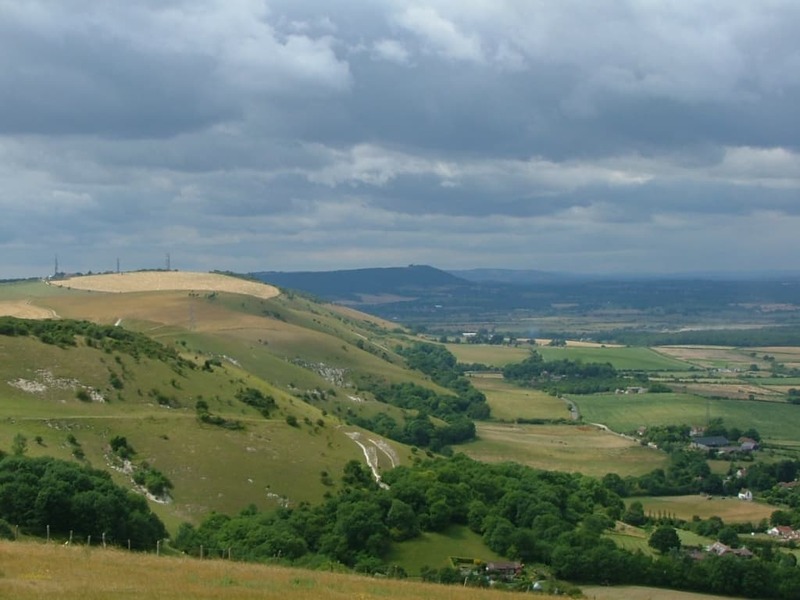 Arrive in Winchester on day 1, walk from day 2 and depart from Eastbourne on morning of day 10. Departure Dates: This itinerary can be walked any time between Jan to Dec. You simply choose which day you would like your holiday to start on. Itinerary Information: 10 nights accommodation with 9 walking days. 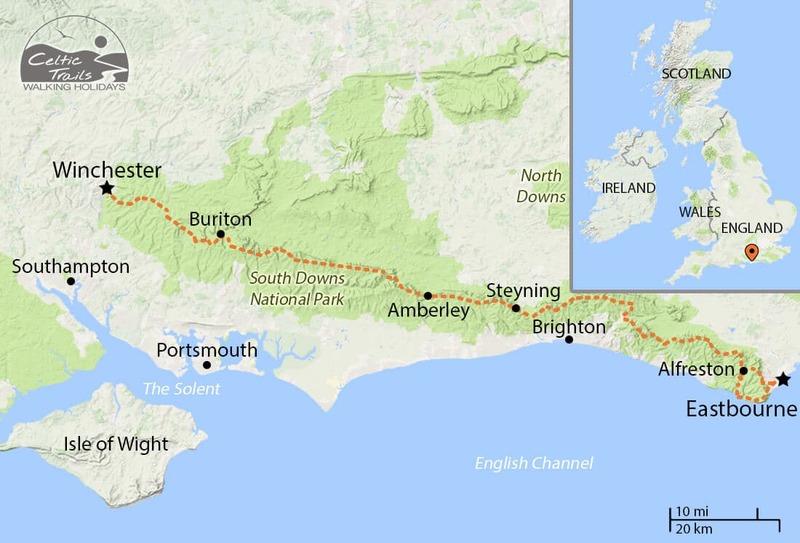 Arrive in Winchester on day 1, walk from day 2 and depart from Eastbourne on morning of day 11. Itinerary Information: 12 nights accommodation with 11 walking days. 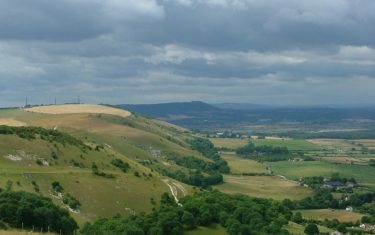 Arrive in Winchester on day 1, walk from day 2 and depart from Eastbourne on morning of day 13. 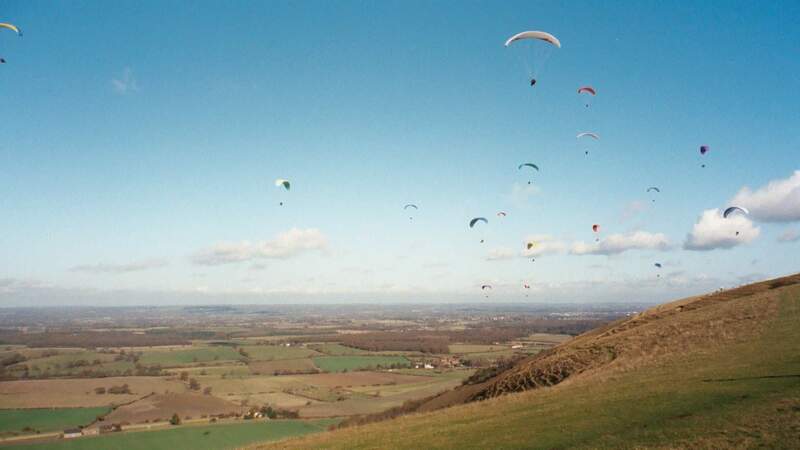 Rest days: From £55 per person per night. 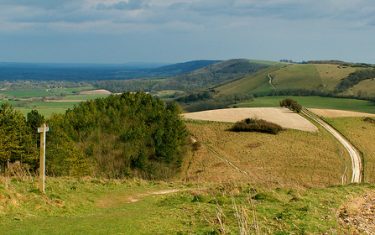 Please note if you chose to walk from Eastbourne to Winchester there is an additional charge of £5 pp per day. Car parking can be arranged for your first nights stay in Winchester at a rate of £5 per night (you do not pay for the night you are staying there). 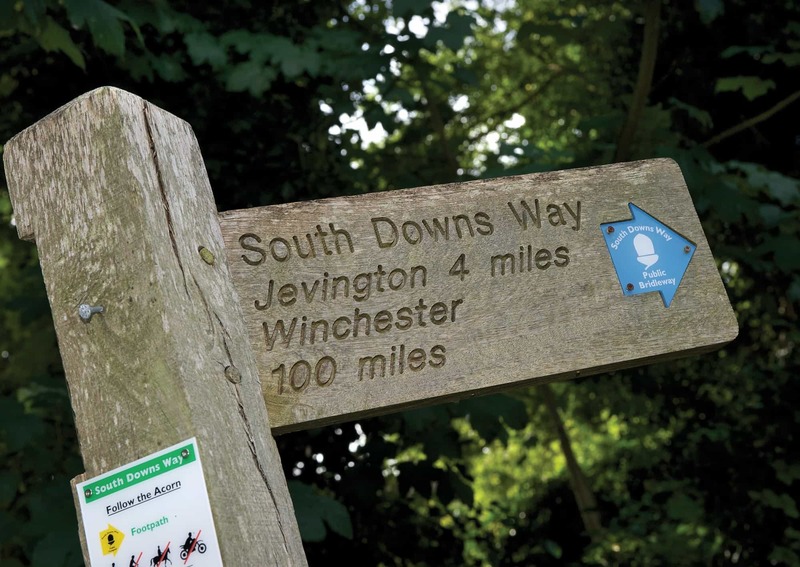 Leaflets on public transport along the South Downs Way can be found on the National Trail website here > http://www.nationaltrail.co.uk/south-downs-way/leaflets. 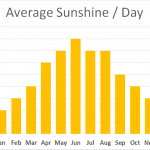 As with most areas on the south coast, the South Downs National Park experiences an above average number of sunshine hours per day, and due to its (overall) gentle nature, the path could be tackled at any point of the year. 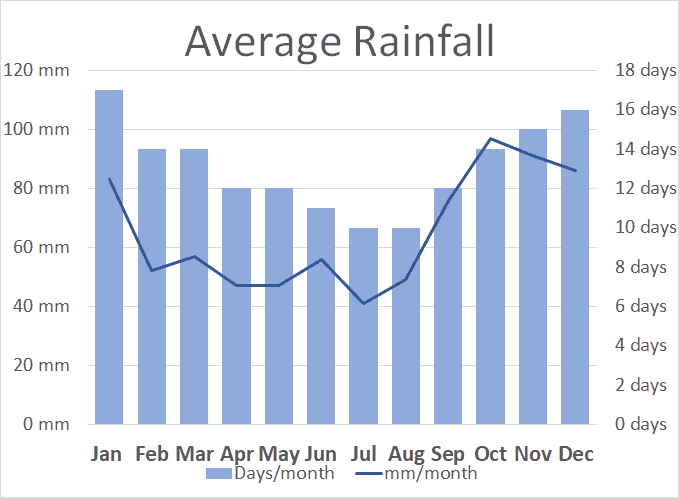 The climate, although fairer than the rest of the UK, is still subject to the unpredictable nature of British weather and bringing waterproofs is always a good idea. Bear in mind also that in hot weather there are long, flat stretches without any shade - so please prepare accordingly. Our past clients rated this walk 4.8 out of 5, read a selection of 16 reviews below. Penny was wonderful - so helpful. I had a foot injury and she gave me the confidence to go on the walk, but showing me where I could call a taxi, if needed. In the end, I didn't need one. Yeah! 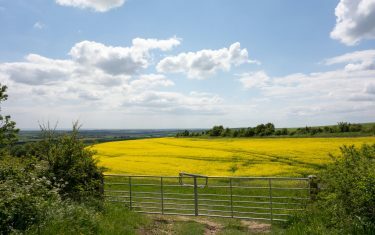 What we most enjoyed about this walk was the changing terrain and scenery, good views and interesting historical churches, etc. Luggage transfers were carried out without fault. I have walked with carious holiday companies and Celtic Trails was the best. The walk pack was VERY clear. The accommodations were all very good or excellent. Celtic Trails were more efficient and flexible than other companies in the UK. Thank you for making our walk a great experience. I have used Celtic Trails twice before and would use them again. "Thank-you, good organisation by Celtic Trails. 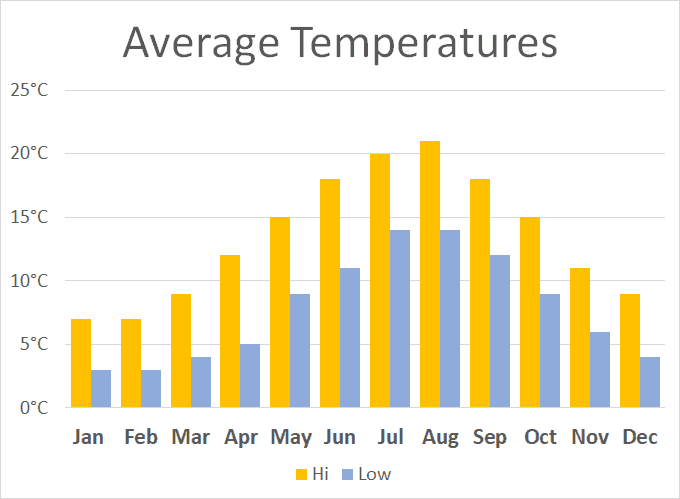 Overall a great few days with almost every overnight stay well above the average of our other experiences in the UK. Taxi and luggage transfers worked flawlessly. Overall a very big THANK-YOU to all at C.T and Hosts & Drivers." Thank you - good organisation by Celtic Trails. 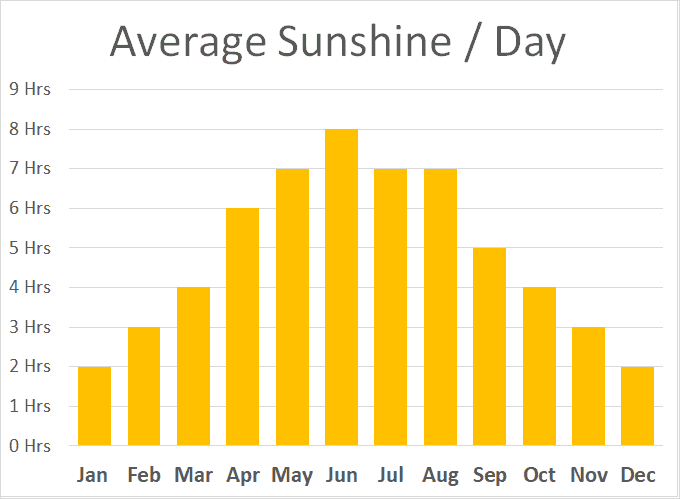 Overall, a great few days with almost every overnight stay well above the average of our other experiences in the UK. Taxi and baggage services worked flawlessly and they altered pick up times to suit us. Overall, a very nigh THANK YOU to all at Celtic Trails. Heard about Celtic Trails via word of mouth and they were excellent. "This was the best way to see a new place and learn about culture. 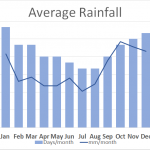 Thank you for your supporting information - maps, descriptions, details of route." "Penny was so helpful. I had a foot injury & she gave me the confidence to go on the walk by showing me where I could call a taxi if needed. In the end, I didn't need one. Yeah!" We most enjoyed the good walking - this was a new area to us. Also, the varied B&Bs. "We enjoyed it. 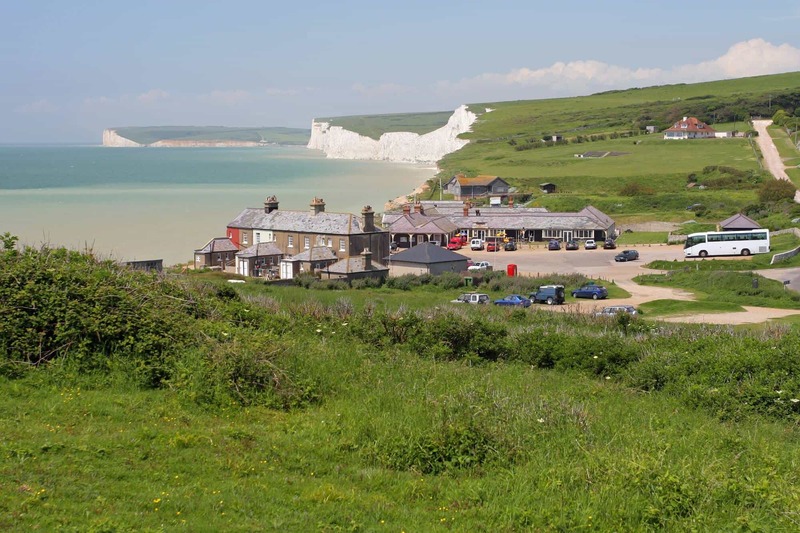 Also we agreed that walk is organised very well with the luggage transfer and nice B&B's." 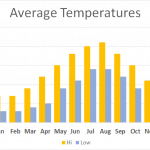 "Compared to other companies, Celtic Trails' service is excellent. What we concluded from our trip is that when you walk into a village at lunch time, or at the end of the day you see the village as those created it many years ago would of seen it, and you have a feeling of accomplishment that you have walked a certain number of miles to arrive there. It's so much more rewarding and you feel good from the exercise." "Celtic Trails organisation was immaculate & the baggage transfers seamless. Our hosts were all great and there was a lovely variety in the places we stayed. 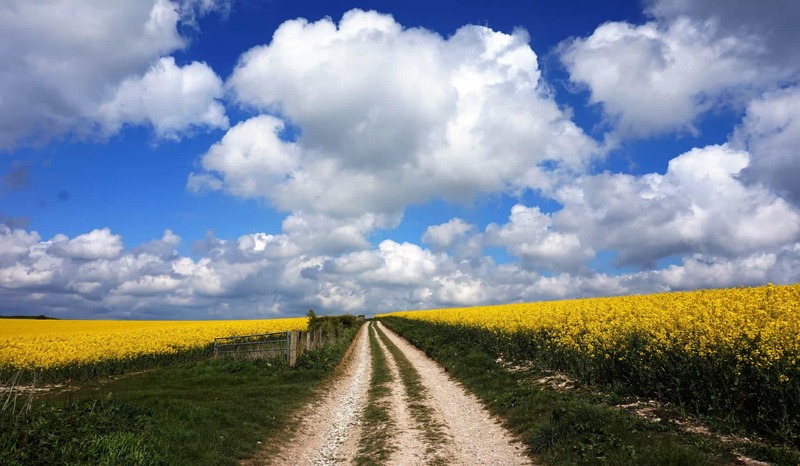 We are looking forward to completing the Thames Path next year." 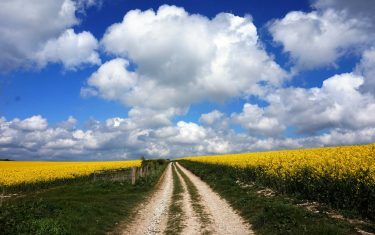 "Beautiful views, and clarity of directions from Celtic Trails. [what attracted us] was the scenery, being away from the noise." 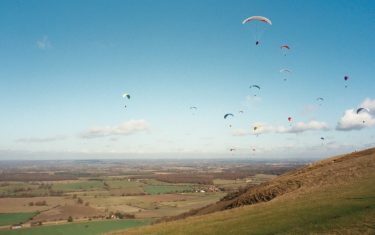 People come from miles around to witness the most famous (and to some the best) sights of walking the South Downs Way, only accessible on foot. 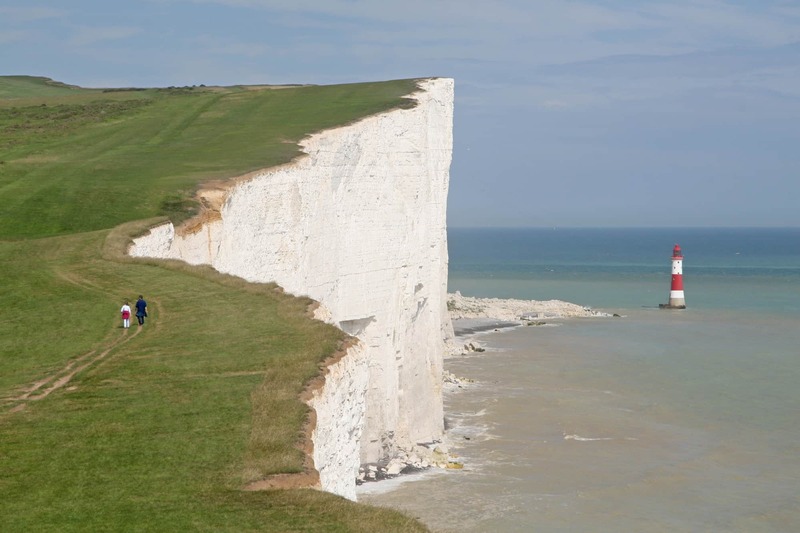 From here, you'll find far-reaching views from atop the ridge at Beachy Head that make for a fitting end to a walk across country path and field. 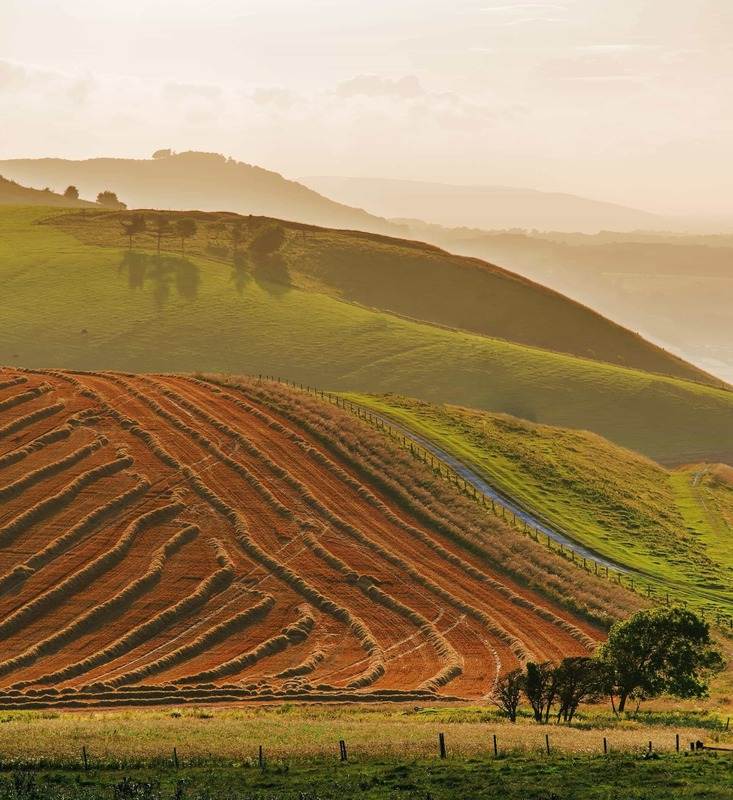 The undulating hill walk into Eastbourne is found at the end of all our South Downs Way itineraries (dependent on which direction you take the route). Walkers may want to consider spending an extra day in the seaside city of Brighton. 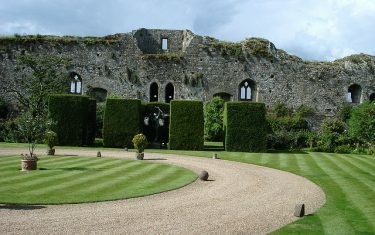 The thatched cottages of the village of Amberley surround an impressive castle, with over 900 years of history within its walls. There are some fantastic examples of country pubs and cafés, and the heritage museum is a firm favourite of visitors to the parish. 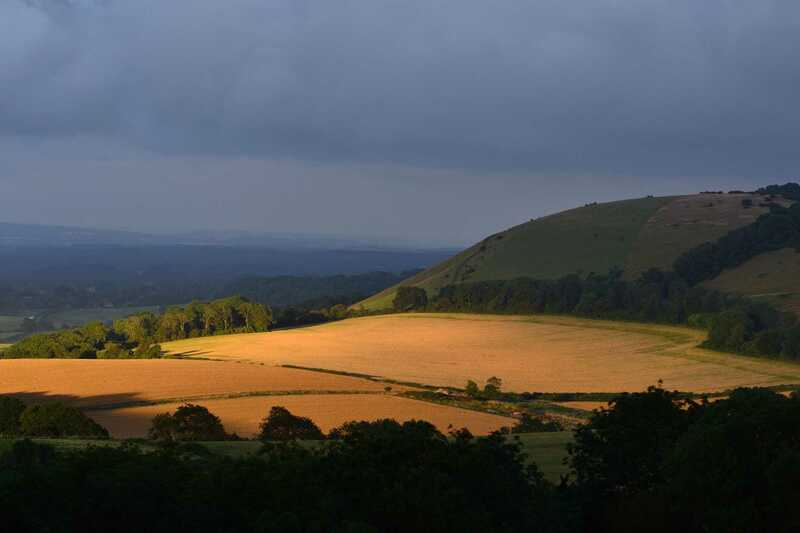 The picturesque village is sat in a beautiful location, with the looming Amberley mount a fixture of the local countryside scenery. 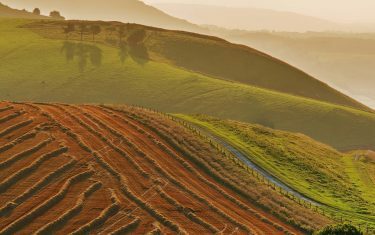 The village of Amberley is located on at the midway point of all of our South Downs Way itineraries, let us know and we'll more than happy to plan a rest day among the tranquil surroundings of this most quintessential of English villages.